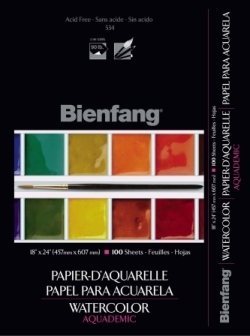 Product Description: Lightweight watercolor paper with uniform whiteness. Medium surface texture and excellent formation. Use when you need a watercolor paper that is acid-free. 90lb.